Home Worker Green Screen Computers. Man work in two computers simultaneously. Green screen devices. hd00:32Home Office Worker Green Screen Devices. 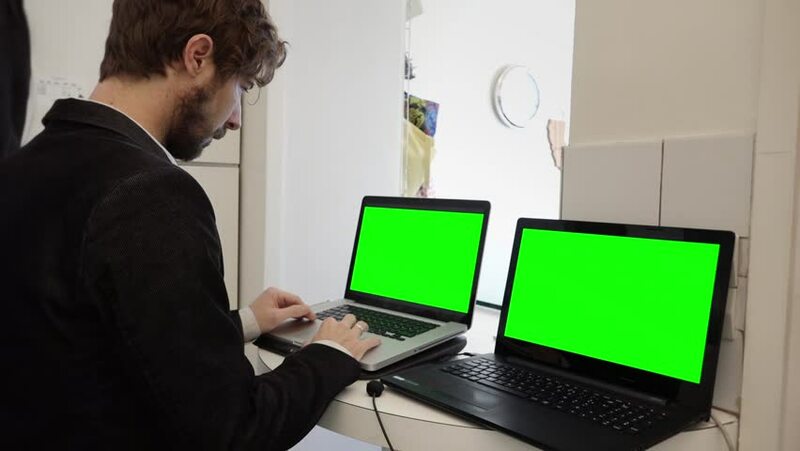 Man works with two computers, a tablet and a smart phone, all with green screen. 4k00:17Businesswoman making video call to business partner. Green Screen Mock-up Display. 4k00:20Young couple looking at monitor talking. Man makes a call. Green Screen Mock-up Display.